Our panel of skilled professionals at the Department of Dentistry includes paediatric dentists, endodontic, orthodontists, oral surgery, periodontics and prosthodontics. Our department has been accommodating to the dental procedures of its patients since it was initiated. We provide services that are offered to children, teenagers, adults and even people with special dental care needs which includegeneral paediatric cases like chipped tooth and overbites to more complicated surgical procedures. Our panel of experts hasacquired years of experience in order to administer anything, with extreme care. 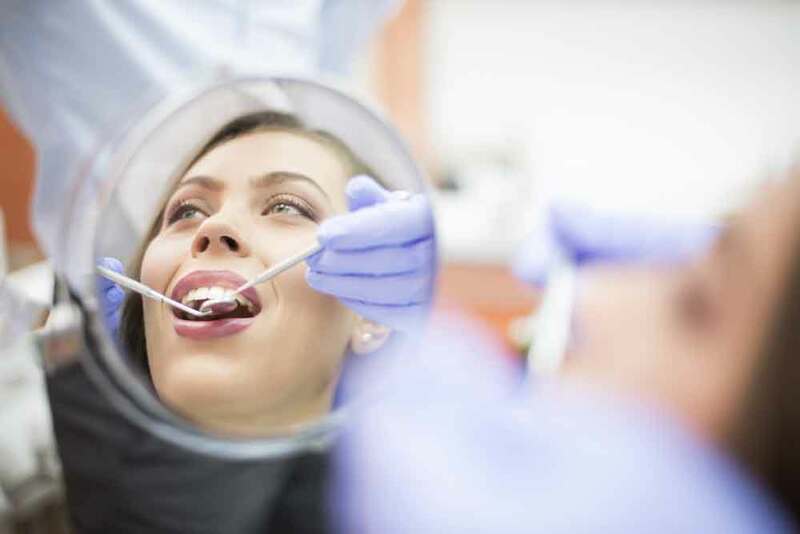 Aided by a post-surgeryfollow-up and care team, the Department of Dentistry has been able to deliver to a lot of satisfied patients over the years. Dental braces are a wire-based instrument that orthodontists implant to rectify crowded and misaligned teeth or jaws. Mostpatients who need dental braces generally get them during the adolescence or teenage years. However, adults also may benefit from braces implant. The objective of dental braces is to perfectly align your teeth and jaws resulting in an even bite and attractive smile. For teenagers or adults who need a minor fix, an alternative to fixed dental braces is a course of clear, customized, detachable appliances known as aligners or invisible braces.Transparent aligners may be more costly than fixed braces, but may be preferred by adults as a more acceptable due to appearance. However, many patients need fixed braces to properly fix their dental issue. Latest equipment and technologies make the process of installing dental braces a loteasier and comfortable than the past. Routine dental exams are avitalpart of preventive health care. During a dental check-up, the dentist or hygienist will properly clean your teeth&jaws and check for cavities and gum disease. Then they also examine your risk of growing other oral health problems, as well as evaluate your face, neck and mouth for dental conditions. A dental exam may also involve dental X-rays or other clinical test programs. During a dental exam, the dentist or hygienist may alsoask you about your diet and oral hygiene habits and might educate you on proper brushing and flossing process. Other than this, the discussion might consistof lifestyle aspects that may affect oral health and any cosmetic enhancements to your teeth. Dental implant operation is a procedure to replace tooth roots with a metal implant, screw-like implants and replaces decayed or missing tooth with an artificial tooth that looks and works much like the real one. Dental implant surgery also offers as a substitute to dentures or bridgework that doesn't fit so well. How artificial dental implant surgery is executed depends on the type of dental implant and the status of your jawbone. But all the implant surgeries are performed in stages and may involve several courses. The main benefit of implants is strong support for your new teeth — a process that involves the bone to heal firmly around the implant. As the healing process is slow, it can take several months. A dentist or a doctor may perform an Oral Cancer Screening to look for anytrace of cancer or precancerous diseases in your mouth. The objective of oral cancer screening is to diagnose mouth cancer in its initial stage, where the chances of successful treatment are better. Most dentists execute an investigation of your mouth during a routine dental check-up to examine for oral cancer. Some dentists may use more than one test to enhance the identificationprocess of harmful cells in your mouth. Medical organizations debate on whether people without any risk elements of oral cancer need cancer screeningtest.No single mouth examination or cancer screening test has proven to lessen the risk of oral cancer. 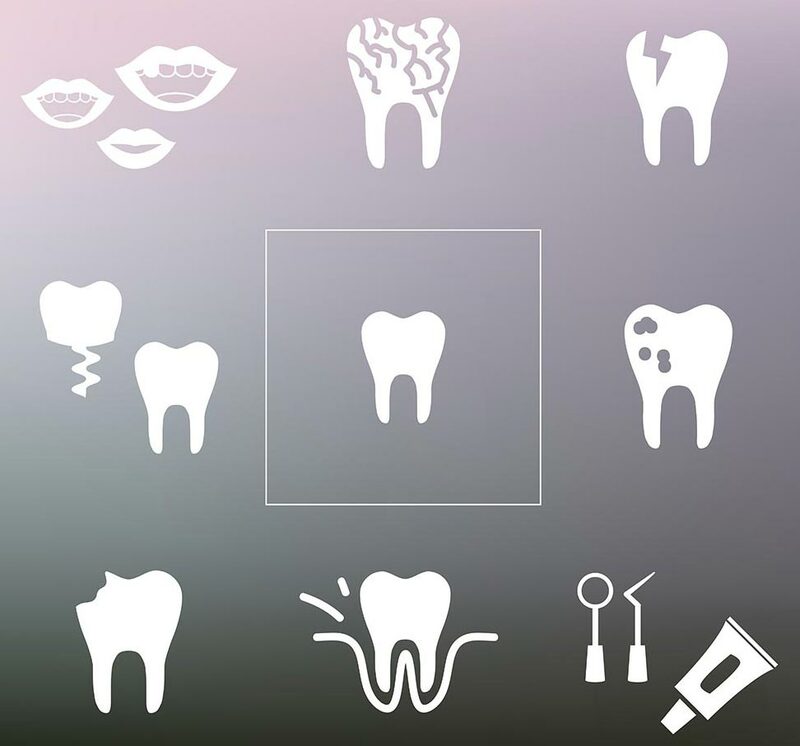 Still, you and your dentist may decide which oral exam is appropriate for you depending on your risk factors. It is a procedure to extract one or more wisdom teeth — the four permanent adult teeth developed at the back corners of your mouth on the top as well as the bottom. When a wisdom tooth doesn't have enough space to grow (impacted wisdom tooth), it results in excruciating pain, infection and/or other dental issues, treatable by pulling out the tooth. Wisdom tooth extraction program may be performed by a dentist or an oral surgeon. Few dentists and oral surgeons suggest wisdom tooth extraction even if thetooth isn't causing any problem, just as a precautionary measure against possible future problems. People suffering from tooth sensitivity experience discomfort or pain while consuming hot or cold eatables. The Patient may also experience pain while brushing. There are different types of mouth sore conditions which can be troublesome and irritable. Most common types of mouth sores include ulcer, canker sores, blisters, thrush and cold sores. Bad breath disorder is also known as halitosis. It can be caused by Cavities, Gum disease, Dry Mouth, Oral Cancer, bacteria on the tongue. Gum disease is also known as periodontal disease, which is the main cause of tooth loss among patients. Periodontal disease has two leading stages: gingivitis and periodontitis. Gum disease can be prevented through proper cleansing and regular dental check-ups.